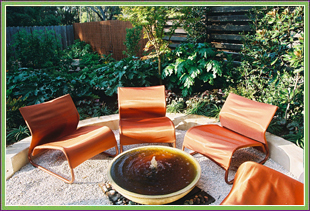 A courtyard garden is an amazing opportunity to create something special in a small space. This extra room should be an extension of your home. 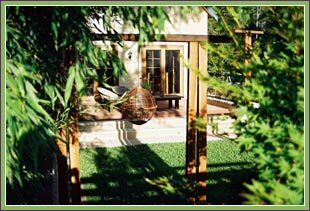 The transition from inside to outside should be easy and inviting. 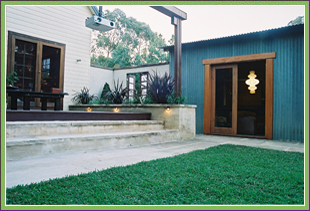 In this courtyard we have utilized the existing bamboo to create a private screen and added a contemporary Asian feel to the garden using hardwood structures. Simple, innovative planting schemes work best in confined areas. A small space does not mean that we have to limit our ideas. 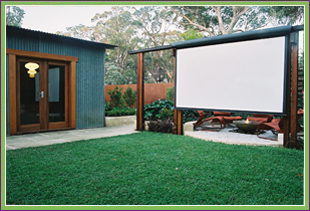 View the Cinema Garden page to see the night time transformation of this space.